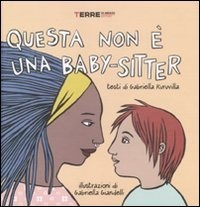 Questa non è una baby-sitter (This is not a baby-sitter) is a simple book that deals with complex and delicate issues. Using simple and everyday language, the author of Italian-Indian origin, Gabriella Kuruvilla, speaks to children of the difficulties and misunderstandings that occur in an increasingly multicultural society, in which integration still encounters many obstacles. The author writes with irony and simplicity about small everyday misunderstandings that can lead to discrimination. Thus, linguistic diversity is not only peculiar to Ginko, Mattia’s Chinese classmate, but also to Salvatore, his Sicilian schoolfriend. A few words are enough to explain the difference in skin colour: “I am brown, his father is white and he is actually beige. This happens when you mix different colours.” Boys and girls learn and understand that they are all different, but ultimately all equal. The text comes with Gabriella Giandelli’s beautiful images that blend illustrations with balloons and ABC letter boards. 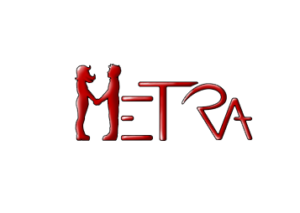 With this booklet, the publishing house Terre di mezzo continues its mission in favour of cultural integration, promoting quality texts that stimulate social reflections.